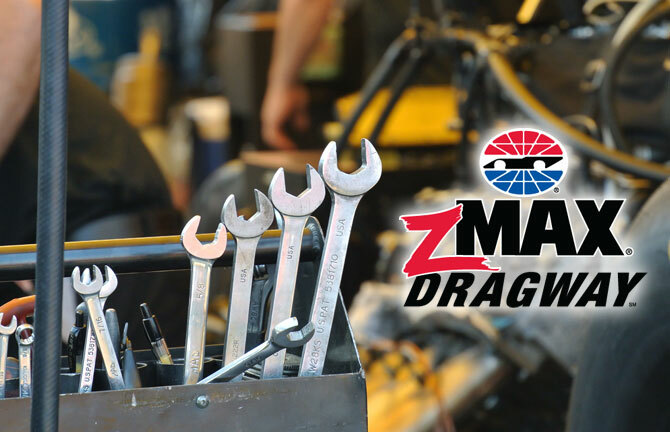 On April 13th, 2014, Array Creative attended the NHRA 4-Wide Nationals at zMAX Dragway in Concord, NC at the Charlotte Motor Speedway. The inaugural NHRA Nationals series, held back in 2008, was an enormous success and has sparked the popularity of the Dragway event and encouraged attendance for the past 7 years. The event included the world’s best NHRA drag racing professionals in one of the most exciting 4-wide competition formats in the sport. Unique to NHRA events, any grandstand ticket is also a pit pass that allows access to the garage area. The open access to pit lane and the race team haulers is unlike any other sport. Fans can watch and feel as if they are a part of the teams and the brands associated. Array’s interest in the 4-Way Nationals stemmed from the potential of NHRA event marketing opportunities with client partners. “The energy at zMAX Dragway was electric, and with 4 cars racing at the same time it was heart-pounding action. I can appreciate why NHRA fans are truly fanatic about the sport and the industry,” said Eric Rich, Array principal. For a look at Array’s Event Marketing, visit our portfolio http://www.arraycreative.com/portfolio/?cat=event-marketing.